Getting a new website designed is something that all businesses have to do at some point. Startups need to launch a website as soon as they can, while existing websites become outdated after a few years and need a website redesign. Too often, the search for a website design company comes down to two factors: How their previous websites look, and the price they charge. Many web design agencies provide an “acceptable” service for a reasonable price. The service is “acceptable” to businesses because all they are really looking for is a website that looks good and doesn’t break the bank. So they search for designers, look at their portfolio, and find one who creates nice-looking sites that are modern, attractive, fast-loading, etc … and all for a good price. The design agency works on the site, it gets approved, it gets launched, and everyone congratulates themselves on such a fine new website. But something is missing from this. Something crucial to every website that we design at LeapGo: Purpose. Every website has a specific function. There is no reason to have a website purely because everyone else does. A website is essential these days, but not because everyone else has one. It is essential because it is the place where you tell your story or find your customers or sell your products. Every website has a purpose, and that’s what matters to us when we design any site for any business. And it’s not just the purpose of the site as a whole. Individual pages also have a purpose. Even individual elements of those pages have a purpose. If you don’t have a clear idea about the purpose of each and every element of every page, this could be why your site is failing you. Web design for us is about doing our best to get out of the way. Our philosophy at LeapGo is that the very best design is invisible. It means using clean and user-friendly designs that do not call attention to themselves. The whole purpose of the design is to allow the user to experience the site in the best possible way to achieve whatever it is they want to do, whether that is buying a product, contacting support, or reading a blog post. We don’t want people to stop what they are doing to admire a clever little graphic or a cool new feature. If it has no role to play, it’s getting in the way. So this all comes down to the purpose of each page. We work out what you want the visitor to do on each page (this is a combined effort—we work closely with you throughout the whole design process). We then set about creating each page based on the purpose of that page, doing everything possible to ensure that the design helps rather than hinders the user. This involves adding visual elements that prompt users to “do the next thing,” whether they are graphic elements, typography, videos, navigation buttons, etc. Everything must have a specific purpose … otherwise why is it there? When you think of web design with a purpose, you probably think of the call to action (CTA). And yes, the CTA is a big part of it. Conversion rate optimization involves constantly fine-tuning your landing page or web page to encourage more people to perform a specific action, so a compelling CTA is essential. But when it comes to designing a website, the CTA is just one part of it. Beyond just getting a conversion, you also want your website to get a positive emotional reaction from the user. This could be through its ease of use, the speed that the pages load, the graphics you use, and the images you choose. You want to leave a positive impression of your brand. Your overall CTA may be to get a purchase, but it’s well known that only a few visitors will purchase on the first visit. Many will come back a few times before they buy, and you need to make the experience a good one if they are to return. Some pages may have a clearer CTA than others, such as an email capture form or a buy button. On others, the CTA will be less obvious. The home page may have multiple CTAs, for example. You have to think of the overall picture and the overall role of each element to achieve the desired results, which is what we do. Vintage inscription made by old typewriter, what’s your story? One of the purposes of a website is to tell your story. The most obvious place this occurs is on the “About” page, but it is also important throughout your website. This is part of what we want to achieve with every website. We want to tell your story through the design of your site. Every single element tells something about who you are and what you believe in, and it all matters. We do this through images, words, interactivity, videos, tone, social media integration, and design features like parallax scrolling. 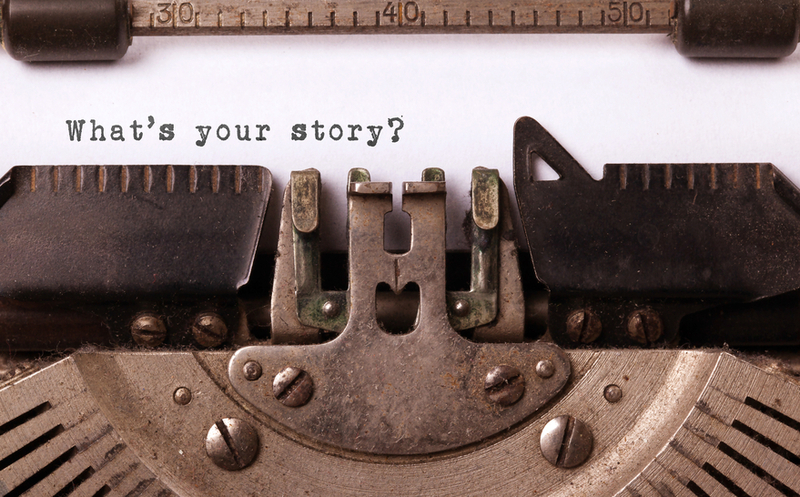 Does your website tell your story? If not, why not? Your customers are looking for solutions when they arrive on your website, and your products, services, and content provide them with what they are looking for. But you have to make it easy for them to get what they want. You must not get in the way of them achieving their goals. Take something as straightforward as buying a product. If that is what a visitor wants to do, you’d better make it easy for them. Some websites make this so confusing, and you have to ask yourself why. On the contrary, we follow the most up-to-date checkout practices to streamline the whole process and reduce the number of abandoned carts. Or your visitors may want information. They might want to sign up to receive your emails to get notice of your latest blog posts, so make the process as smooth as possible. Don’t make them provide details you don’t need, like a telephone number. Keep it simple. The purpose of your site may be to provide information or sell your products … but another purpose it should have is to be memorable. But how to make your site stand out from the millions of others, or the hundreds of others in your space, enough to get people to return? This is where you need something special. We go beyond the norm when we create websites. That does not mean making your site stand out by using cheap tricks. As I’ve said, everything still must have a specific purpose. But it does mean using elements that make your site stand out. This means paying careful attention to the colors, navigation, fonts, graphic elements, and everything else. It means creating a professional site that provides a positive experience to each and every user. A memorable website provides emotional engagement, the key to getting people to remember your site. Create a positive emotional reaction in every visitor, and you will make them want to return. This is how you go beyond the template website. These have their place, but not for your business. Not if you want your site to be memorable. You need something that stands out, but without calling attention to itself. This is often what sets apart the amateur from the true professional. If you’re ready for a site redesign that achieves all the above, then we’re ready to talk. Make your site go well beyond average. Launch a site that is memorable, that looks stunning, and that has a clear purpose that every single element works towards achieving. That’s what we do best. Request a consultation.